for more characters, please contact me. 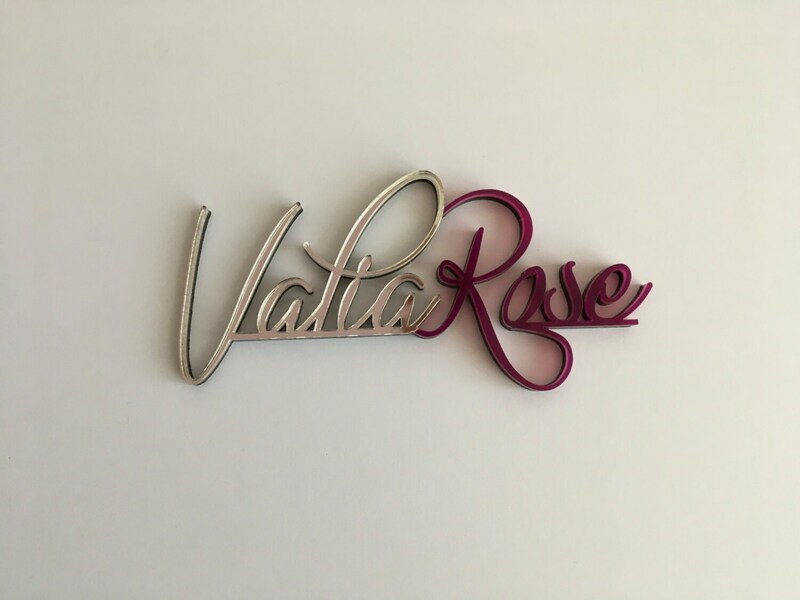 This listing is for a one of a kind custom logo design. Logo that I will create for you will be 100% Unique. The size of the logo is 3 inches by 6 inches. 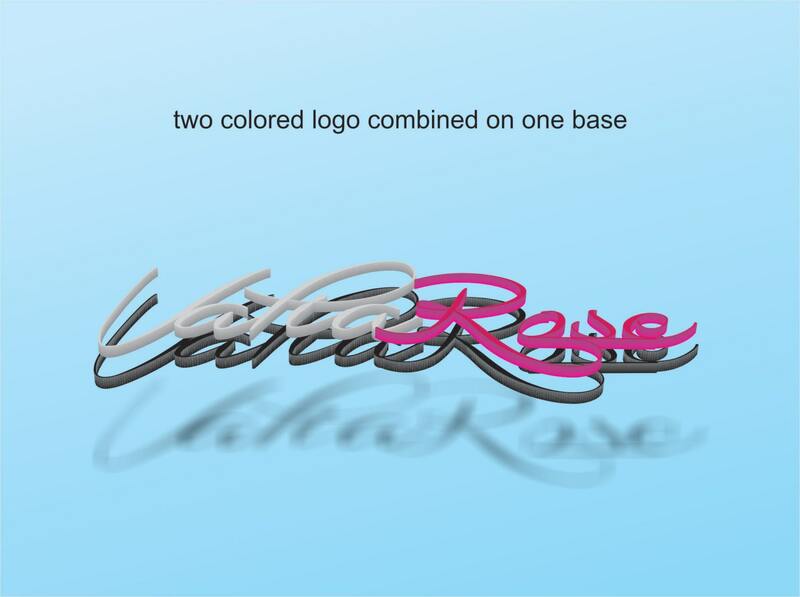 If you need bigger logo, please contact me before purchase. It can be made from several colors combined with your custom design. 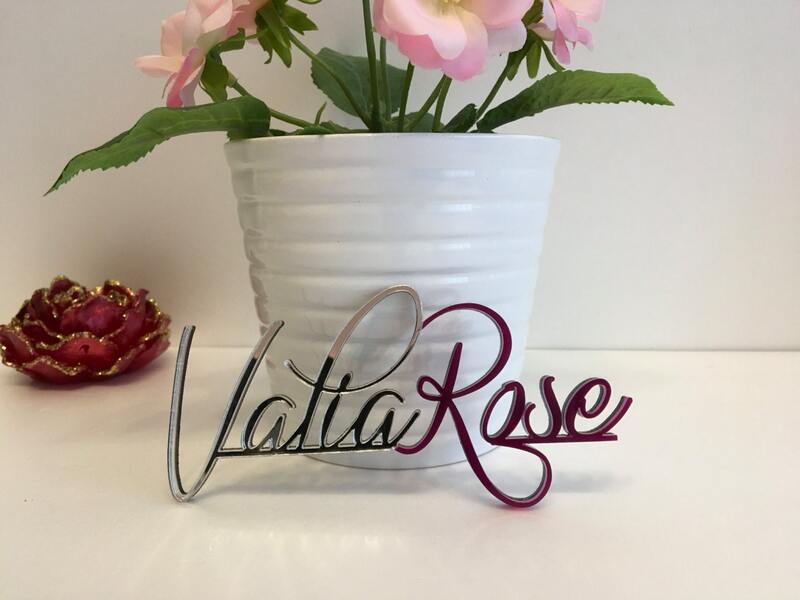 It is suitable for business logos, shop logos, custom desk names and many more personalized designs. The dimensions of the logo are custom made to fit your needs. 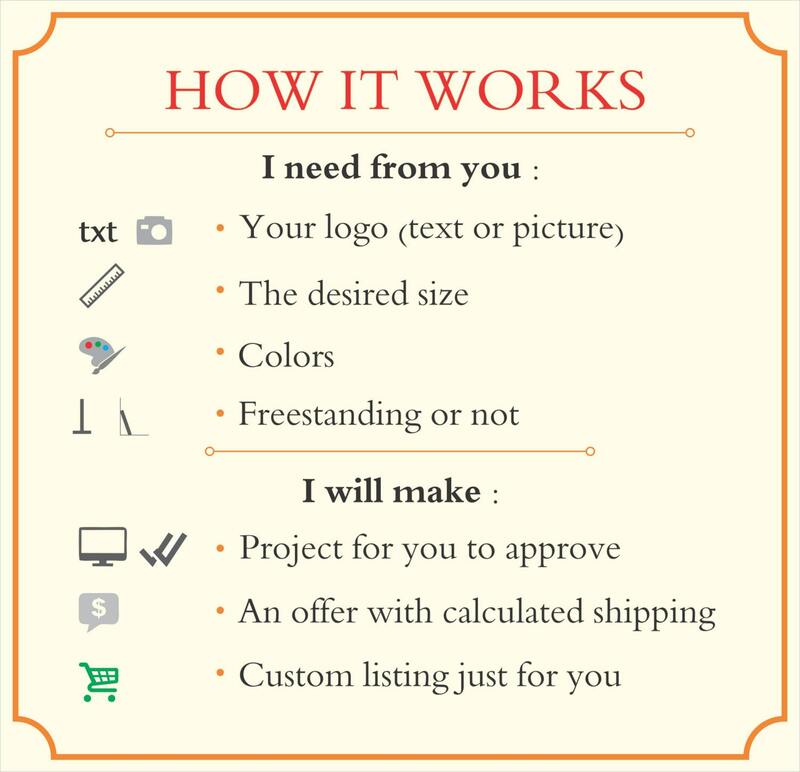 - You are sending me your logo or an idea of what you want to look like. - I will make several projects for you with pricing and shipping costs calculated. - You can make changes to the design until you are satisfied with the looks of it. - After you confirm the final design and quantities I will produce your order and ship it to you with the desired shipping method. 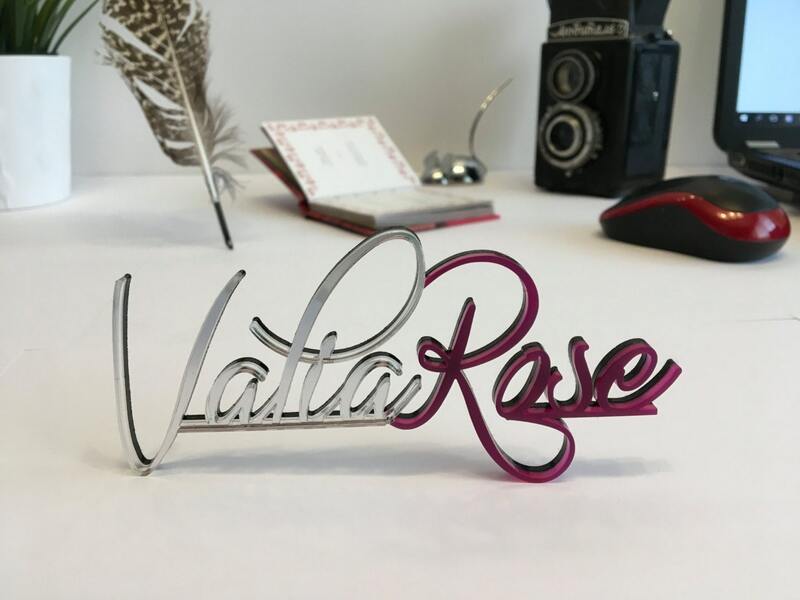 Every logo can be made with adhesive back or an appropriate stand. Great seller, excellent communication and customer service. Very detailed and fast shipping. I am absolutely thrilled with both my orders - they are just perfect! I will be ordering again in the near future. This is the perfect fit for my new office. I love it.